PBL (Problem Based Learning) has long been an important aspect of my teaching programme. This term in my Year 6 Mathematics Class we have been learning about Fractions and Decimals. After doing some learning about how to use and manipulate them effectively and developing an understanding of chance, the students have been set a problem based around filling a gap in the market. The students were set a problem based on filling a gap in the market. The problem was: “The educational board game market is severely lacking fraction, decimal and chance based games to support learning”. Develops an understanding of adding / subtracting fractions, finding equivalent fractions and converting between fractions, decimals and percentages. From there the students were asked to complete a framework to structure their learning and a plan to organise it. The students investigated a variety of games, created a checklist and used the rubric to construct their games. They planned and designed a draft game which they then spent time (over 3 days) in small groups evaluating their games against their own checklists. The students gave feedback and constructive suggestions and they discussed the parts of the games and suggested improvements. From here, the games were developed, adjusted and assessed against the rubric. The process has been the most amazing experience to watch. To listen to the in depth conversations between groups of students about their games and the justifications for the elements of their game were brilliant! We got hold of an entrepreneur game developer through Hasbro UK and he Skyped us to discuss the process that he followed when producing his game. It was an exciting experience for the students and the were able to link their game to the process that the entrepreneur uses. It gave them the feeling of being an expert and encouraged them to push and extend themselves. 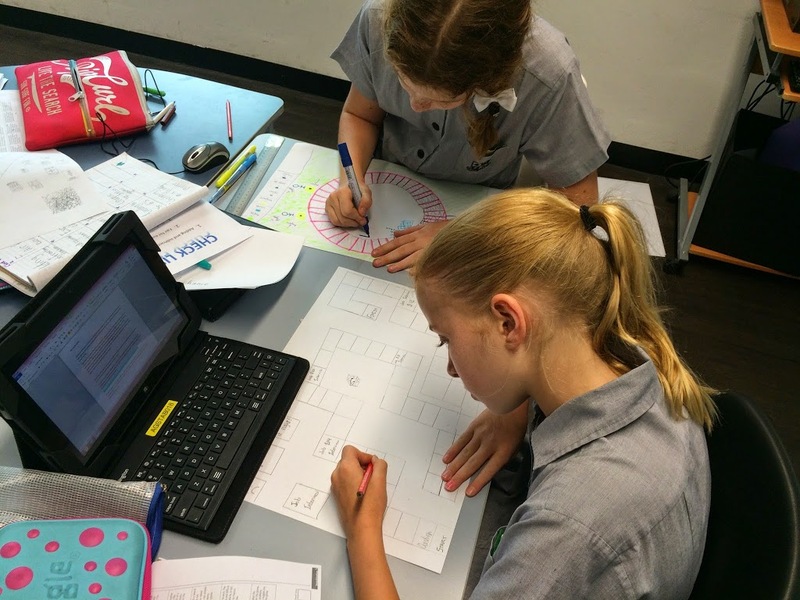 The students have now completed their games and the knowledge they have gained form this PBL experience is far better than any other way I would teach the concepts. A brilliant and interactive way to learn. Connect, share and discuss how you use PBL to engage students in learning. I can’t wait to hear some inspiring examples. I’ve read quite a lot of articles and blog posts about PBL and this one is by far the clearest example of how it works. I had an ‘aha’ moment. I have read many blog posts and articles on PBL, and yours has been, by far, the clearest explanation of how it works in the classroom. I had a serious ‘aha’ moment. I love this idea! Especially the part of them actually meeting a game developer via Skype. Don’t you find that when you give kids a “real” task that they really take it and “run” with it. Like you, I just stand back and marvel. Just the idea I’ve been looking for, as we’ve hit a bit of a wall with fractions, and the 3 Level 6 pupils need a challenge too! I’ll look forward to where we go with it, Thanks! I’ve done board games with my groups – but I LOVE the idea of making it a real-world issue! THANKS FOR THE IDEA! Great article Craig. This post is full of inspiring examples of how kids engage a real life problem when they are tasked to deal with it. This post also reflects the need not only to challenge the kids’ intellects but their maturity as well. I have a similar idea for my 2nd graders. I want them to work with a kindergarten teacher to design games to help meeting the needs of all the levels of letter/sound recognition in her room. She is going to come in and ask for our help and then the students will interview her to see how many levels she needs and what types of games work best for kindergarten students. I have contacted Hasbro and also Gamewright to see if any of the game designers would help us. I was reading a storify from #2ndchat when I saw your post. I look forward to seeing how my new class of 2nd graders handle this. I won’t start this project until the end of August but I’m getting excited about it! Thanks Claire – I will ask the students if they want to share their final products and if they are keen I will post them online soon. Great idea. I will see if any of our Math teachers will try this at the HS level. There’s no reason we can’t pose a similar challenge to these students. Hi Craig, thanks for all the work you’ve done with this. I am very curious to see your rubric that the students saw. Did the students have direct instruction when they were learning fractions? What do you feel were your learning goals from this exercise? Thanks for the message 🙂 Happy to share my Rubric – just DM me on Twitter. Students had some direct instruction then the PBL followed this up. Students used their learning to create which covered all learning areas. Hi Craig, look forward to talking to your class about their experiences and to let them know about mine. 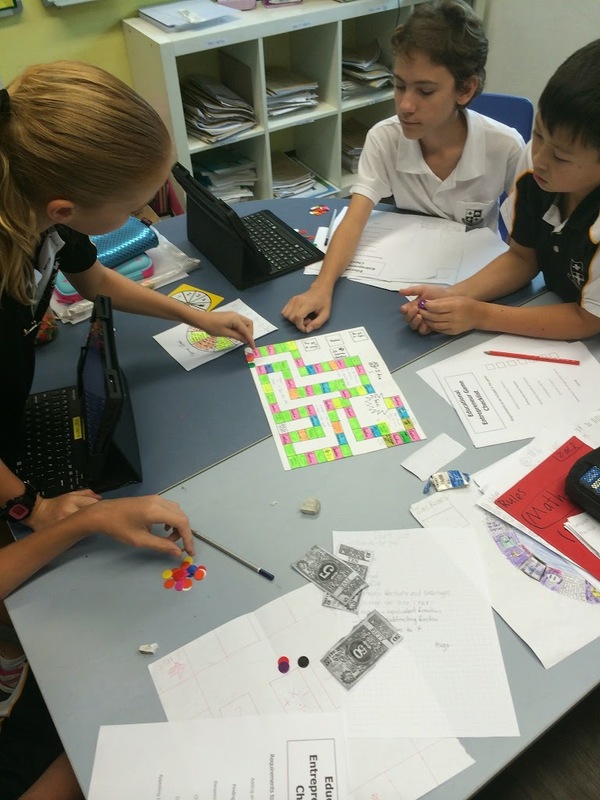 Glad the process of developing a board game was really positive for your class. Hi Craig, I am also very curious to see what the rubric and checklist might look like! I’d love an example. Kind regards, Camille Davies. Thank you for sharing this! I’m going to try to adapt it for my gifted 4th and 5th graders. One question, though. You wrote “From there the students were asked to complete a framework to structure their learning and a plan to organise it.” Would you mind sharing more details about this framework? This is where I find most PBLs have the most difficulty. Teaching students how to progress through this kind of assignment is as important as the content of the assignment, I think. This sounds so great, would you mind sharing the rubric and check list with me as well, please? Our school is looking into using PBL next year school wide. we are having a trial run this term and are coming up with a small problem which we can run through with our class. I want to do some fractions teaching with my Year 1/2 class. Would appreciate knowing how you introduce this kind of learning to the kids, how independent they are are and how you fit other curriculum based lessons into your PBL lesson.